Synergize with others and energize with power generated from each strike on the Cajon. 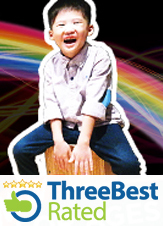 The Contemporary Kids Cajon Program™ is crafted to equip individuals to add rhythm and groove in personal and social enjoyment. Be amazed by the power within you to inspire new life in others...We'll take you there.